Myriad, overlapping river channels distinguish what is known in Australia as the Channel Country. 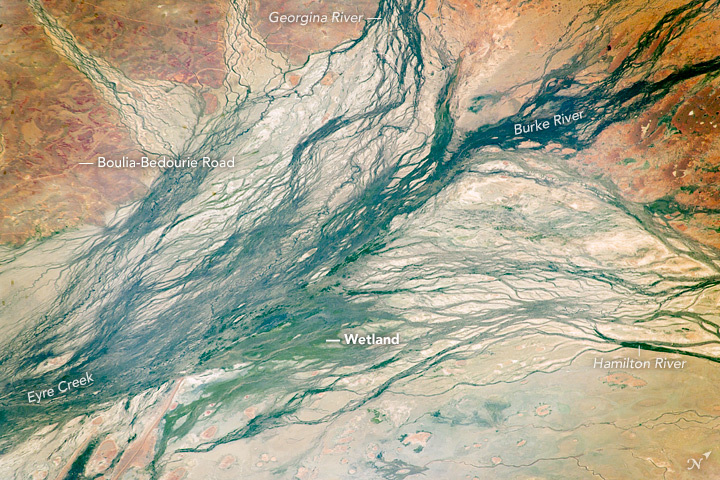 An astronaut on the International Space Station took this photograph of the area in northwest Queensland where the channels flow south toward Lake Eyre. The floodplain includes hundreds of channels, as the Georgina, Burke, and Hamilton rivers merge into the very broad floodplain of Eyre Creek (more than 30 kilometers across). Landscapes in the Channel Country are generally very flat and drainage is poor, which encourages wetlands to form. The densest vegetation and the concentrated channels form a semi-permanent wetland at the meeting point of the rivers. But every few decades, the floodplain needs to carry extremely high discharges of water. 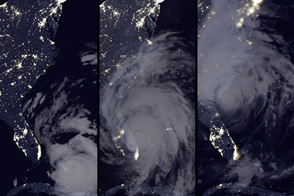 These heavy floods come from tropical storms to the north and can inundate the entire width of the floodplain. On such occasions, the floodplain appears as series of brown water surfaces with only tree tops indicating the location of the islands. To avoid such floods, highways are built outside the floodplains wherever possible. In this image, the straight line of the major local highway, the Boulia-Bedourie Road, is set well away from the floodplain. Astronaut photograph ISS048-E-71898 was acquired on September 5, 2016, with a Nikon D4 digital camera using a 500 millimeter lens, and is provided by the ISS Crew Earth Observations Facility and the Earth Science and Remote Sensing Unit, Johnson Space Center. The image was taken by a member of the Expedition 48 crew. The image has been cropped and enhanced to improve contrast, and lens artifacts have been removed. The International Space Station Program supports the laboratory as part of the ISS National Lab to help astronauts take pictures of Earth that will be of the greatest value to scientists and the public, and to make those images freely available on the Internet. Additional images taken by astronauts and cosmonauts can be viewed at the NASA/JSC Gateway to Astronaut Photography of Earth. Caption by M. Justin Wilkinson, Texas State University, Jacobs Contract at NASA-JSC. 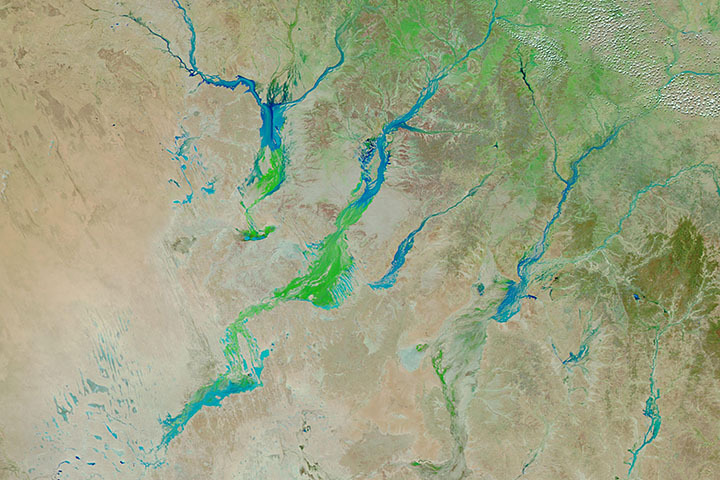 These wide Australian floodplains are unique on the planet. 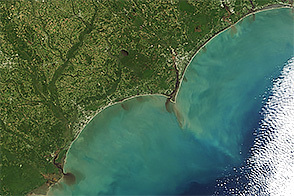 Scientists think they are caused by the extreme variation in water and sediment discharges from the local rivers. NASA Gateway to Astronaut Photography of Earth (2016, September 5) ISS048-E-71904. Accessed October 9, 2016.